Treetop Flyers - Sweet Greens & Blues. 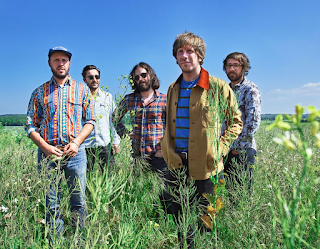 Background - "Sweet Greens and Blues" is the new single by Treetop Flyers, which is taken from their forthcoming eponymous third album, due out on 24 August via Loose. 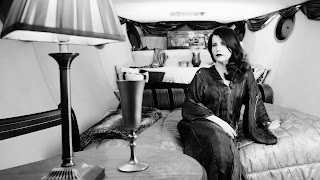 The video, directed by long-time collaborator Sam Ford, was shared by Folk Radio, who said;“The video has that vintage look and feel and it perfectly encapsulates that glorious 60s tinged West Coast Americana with a British twist. With warm, rich harmonies, and a summery groove, the song oozes soulfulness." 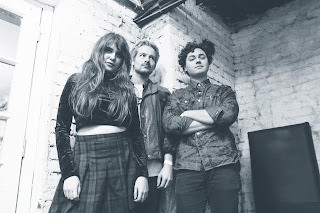 Background - Raucous garage rockers Calva Louise share the visuals for their deafening anthem Outrageous, further reiterating their unbridled potential ahead of a series of eagerly anticipated dates on the festival circuit throughout the summer months. Having feverishly honed their craft within London’s thriving punk scene, the trio (one part Venezuelan, one part Māori and another part English) have since toured with Spring King and Anteros, receiving widespread praise for their tenacious live shows in addition to considerable BBC Radio 1 and BBC 6 Music airplay. 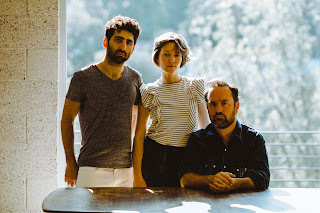 Crammed full with skyscraping riffs, sumptuous harmonies and frontwoman Jess Allanic’s biting vocals, the band have earned plaudits throughout the online community for their latest effort and will be supporting Albert Hammond Jr in London this September. Jeen O'Brien - Any Moment (radio mix). Background from Jeen - “Any Moment” is the only song off my forthcoming record, Gift Shop, that I didn’t self-produce in my attic. Ian Blurton, who also plays guitar on the track and mixed the entire LP, co-produced/recorded ‘Any Moment’ at his studio, Pro Gold in Toronto (with musical great Tom Szczesniak on organ + radio mix courtesy of Jeff Dalziel). The other eight songs from Gift Shop are pretty diy... I played most of the guitars and as mentioned, produced it myself in my attic. My husband played drums, and my brother, who was living with us at the time, was conveniently recruited as our bass player. One of our oldest friends, Griffin, laid down some additional guitars throughout the album. Background - San Francisco's Fine Points release ​their​ sophomore full-length​, '​Take Shape.​' Since releasing their debut album, Hover, in 2015, Fine Points have continued to lay the brickwork of their narco-pop stylings. 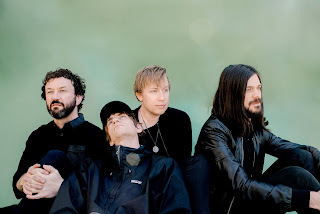 After landing tours with hazy contemporaries such as White Fence, The Warlocks, and The Fresh & Onlys, the band returned to California to work on demos for their sophomore offering. Somewhere along the way producer Jason Carmer reached out to the band and they recorded the tracks heard on Take Shape at Carmer's Berkeley studio. FACEBOOK. Linda Em - Wild Fire. 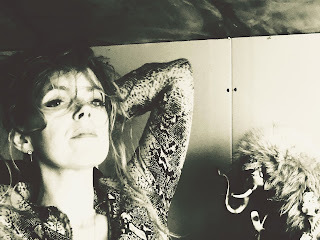 Background - London-based Irish-born songstress Linda Em has announced her new ‘London Irish’ EP, to be released this fall via Talking Elephant Records. Ahead of that, ‘Wild Fire’ is the first single from this release – a sultry song that is as much of an earworm as it is seductive. This EP is the first step in a different direction for Linda, towards a more atmospheric and spacious sound and vocal performance. It is both poetic and storytelling while still being brutally honest and personal. Her pure and raw vocals beautifully convey a nostalgic lyrical narrative, her warm endearing vocals drawing the listener into her musical story telling.